Thousands of new ecommerce websites get created daily around the world. Everything from shoes and clothes to horse riding equipment and ice cream machine manufactures. Getting to the top of the search engines is getting harder every day and for small ecommerce websites it’s almost impossible without help from a search engine optimisation business that specialises in ecommerce search rankings. Today we list simple yet effective tips for your small ecommerce website to rank high on major search engines and most important offer your customers a unique and content fresh website for online shopping. No search engine optimisation company required for these tips. These can be done by the website owner at your own leisure. Don’t simply copy the manufactures product title. Create your own unique product title which has the main keyword for the product. The customer should know exactly what the product is from the title before clicking on the link. Don’t call it a “black shoe” when you can call it a “Formal Black Men’s Leather Shoe Size 10”. Be specific and only target one product per page. If you have multiple options or attributes for the item like size and colour, use this information inside the product description. Tip 2: Add Unique Product Content and Images. Don’t simply copy the manufactures product specifications and details. Create your own unique product details; add your own company flare to the descriptions. Create engaging and innovative descriptions which explains the following. What it is? What it does? Example uses in everyday life and most of all value for money comparison. Add unique images with your company logo – never copy manufactures images or images found online as substitutes. Adding video is by far the simplest and cost effective way of getting people to talk about your products. It’s also a great way to showcase your ecommerce cart including how to do a checkout, product reviews, product demonstrations and frequently asked questions. 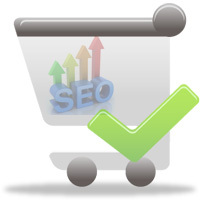 Adding video is also a great way to rank your ecommerce sites on search engines. We encourage all our customers to add at least 3 videos about their products online. (Never copy videos from manufactures or other online users and use it as your own video. This has a negative impact on your site.) Try creating videos with your staff members. Get them to introduce new items or product reviews. My final tip is to engage your customers with all the information you have within your disposal. Example 1: Check your database or report on “Item Search” within your cart. When you find a large keyword search for a specific item, you may want to create a unique page targeting the new item or a page stating you don’t carry that item however offer a substitute. Example 2: You watch current affairs or another TV show on your product niche. You customers will be searching for more information. Create a unique page or blog post from your ecommerce site with your own opinions or products you may have that may help consumers with that specific problem. This is a great way to receive targeted traffic from search engines and the media. Example 3: Your help desk receives 10 problems everyday about the same issue. Create a frequently asked question or post about the problem. It could be about delivery, shipping or other product related issues. These are simple suggestions to increase engagement with your audience. Others include social media integration and adding product reviews. Product reviews from customers are a great way to receive honest and unbiased comments on your products and services. For a full list of ideas and customer interactions, contact our help desk. Summarising all the key points, having unique product content, a pleasant customer experience on your site and providing a valuable service will all help your ecommerce site rank higher in the search engines. Today customers have so much choice by comparing products, prices and shops using the search engines. Having a high ranking ecommerce sites doesn’t necessarily mean you will increase sales. However having the content, layout and engagement with your customers will help your sales and your return on investment. Remember: Customers never make a purchase on their first visit. They will always research online then re-visit the preferred merchant. When the customer leaves your web page, they should be confident and satisfied that the information they have read is sufficient to make an online purchase. At CMather we offer several engagement and ecommerce solutions for small to large companies. If you need a second opinion or advice on your current ecommerce installation, please call our helpful service desk. We provide training, support, development and a guaranteed ROI for your ecommerce applications. Phone Call Back Service: 1300 628 437 (Australia Wide).